The beginning of the year starts strongly for the cutlery Dozorme! 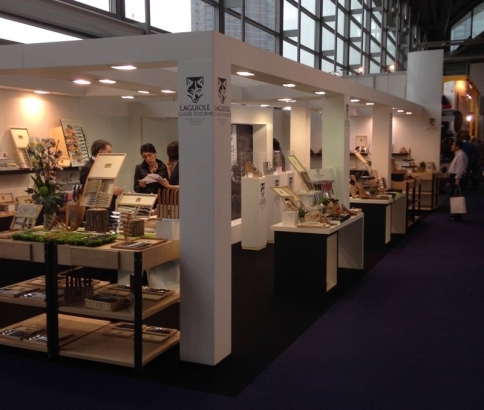 After a successful participation in Maison & Objet show in Paris, the family-owned factory is heading to Lyon. Direction Sirha, the world meeting for catering and hospitality! It is at the heart of this temple of gastronomy dedicated to professionals that will take place the final of the 2nd edition of the butler’s Trophy, Saturday, January 26. Trophy whose manufacture is a partner for the first time. Organized by the Association Service à la Française, « Maître d’Hôtel Trophy » honors room service. 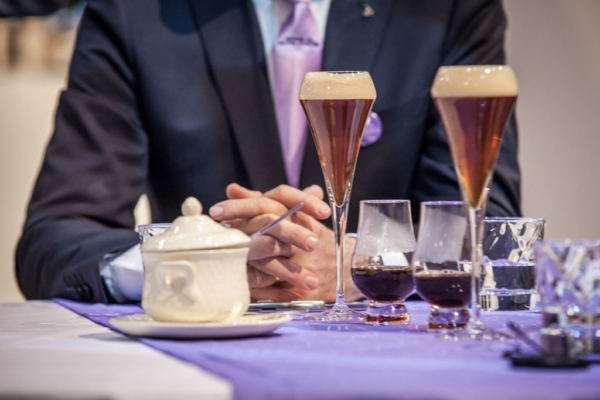 During the grand final held at Sirha, 6 candidates will showcase the excellence, tradition and innovation of the profession through different tests: service art, well-being, cocktail, professional culture, sommelier and beverage. They will be submitted to the expert and informed eye of a prestigious jury composed of more than 20 professionals, MOF and other big names in the profession, including Claudine Dozorme. 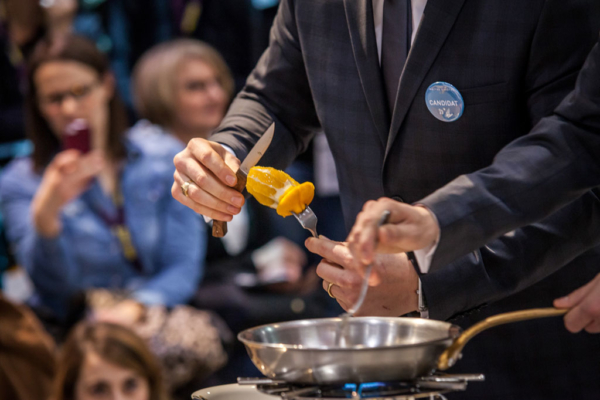 The knives of the manufacture will not be outdone during this Trophy since they will be used by the candidates during the test of bread and that around the scallop. At the initiative of this trophy, four passionate people who act daily to promote the service trades and the tableware: Denis Férault – MOF Maître d’Hôtel and headmaster of the Lycée Paul Augier in Nice, Hervé Parmentier – Director of the restaurant Pierre Gagnaire in Paris, Denis Courtiade – Director of the Alain Ducasse restaurant at the Plaza Athénée in Paris, Stéphane Trapier – Director of La Tour d’argent restaurant in Paris and Patrick Chauvin – MOF Maître d’Hôtel and managing director of Lycée Albert de Mun in Paris. 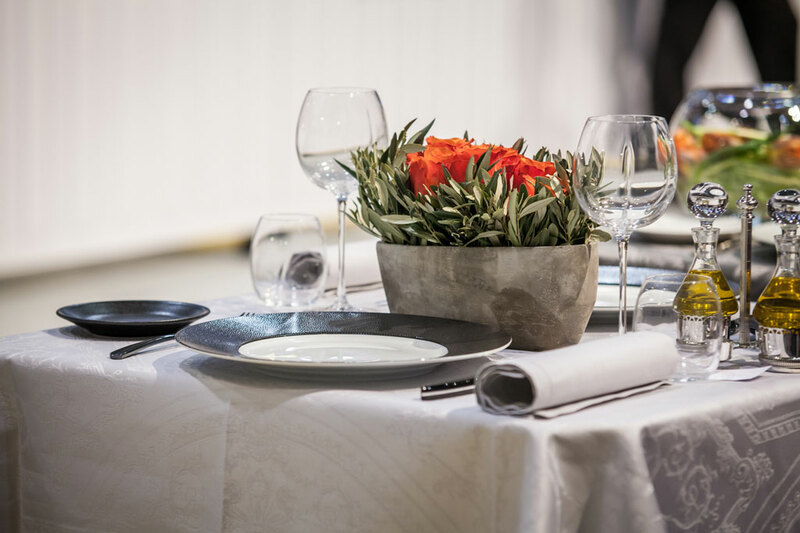 A competition designed to promote the trades of the room and the art of service because we can never repeat it enough, the art of the table is a major art! But Dozorme manufacture will not stop there. She will also be present on a dedicated stand to discover all her latest innovations in the field of kitchen knives or table knives. Among the products on display, the focus will be on its range of Laguiole by Dozorme knives and Le Thiers® by Dozorme. 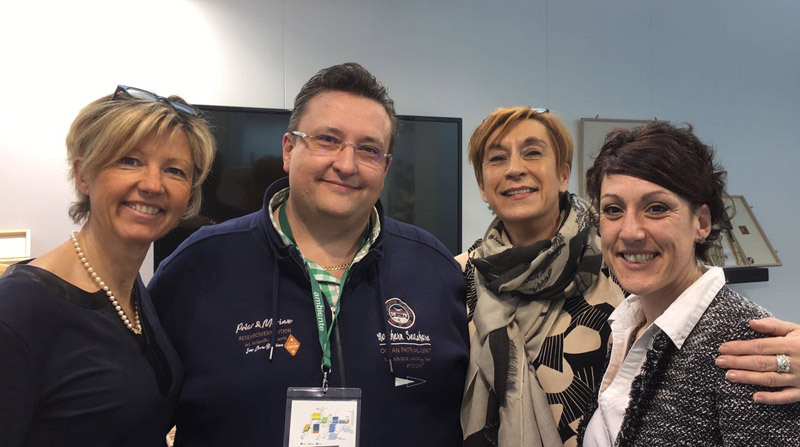 So to find out more about the universe of the factory from Thiers, go to Sirha from 26 to 30 January 2019! This time not far away or long journeys for Claude Dozorme cutlery. It is here in Thiers, in the heart of its production area, that the family factory will participate as every year in COUTELLIA, International Knife Festival of Art and Tradition, which will take place this weekend, the 19 and 20 may. 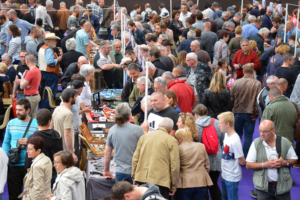 Organised by the Puy-de-Dôme Chamber of Commerce and Industry and supported by the Town of Thiers and the Thiers Dore et Montagne community of communes, COUTELLIA is the leading knife trade show in France. 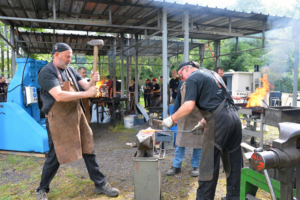 Every year, it brings together professionals and amateurs from France and throughout the world in a 2,500m² space in Thiers (Puyde-Dôme), a world capital of cutlery. For this 28th edition, 230 exhibitors from 22 different countries (from Australia to Sweden via Japan and Russia) will come and present on 19 and 20 May in Thiers (63 – France) their know-how and their passion for knives. A golden opportunity to discover new cutlery trends but also techniques and know-how from elsewhere. There will be also be events and highlights throughout the weekend at COUTELLIA. 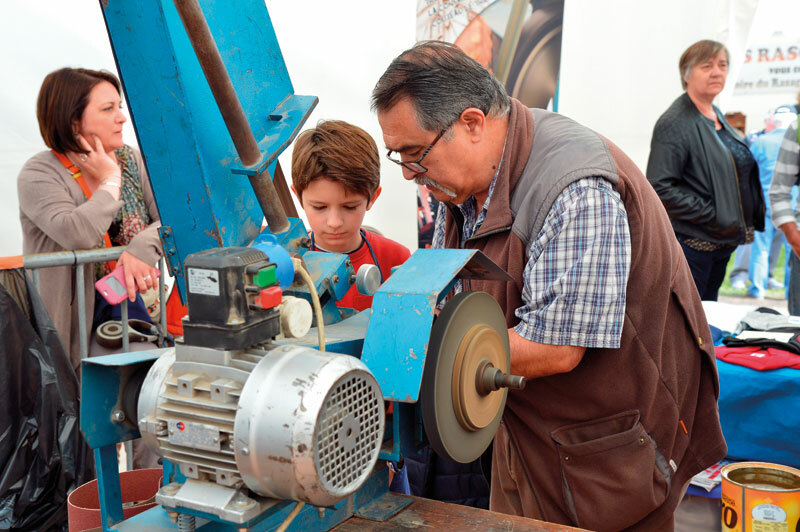 Thus, there will be an exhibition of ancient knives, forging and sharpening demonstrations, the assembly of knives, an initiation in the manufacturing of corkscrews and many other delights will be proposed to the public in dedicated spaces. 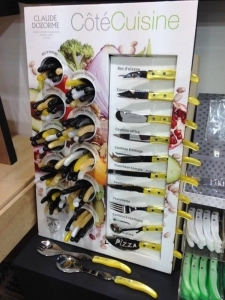 This will no doubt enrich your cutlery culture. 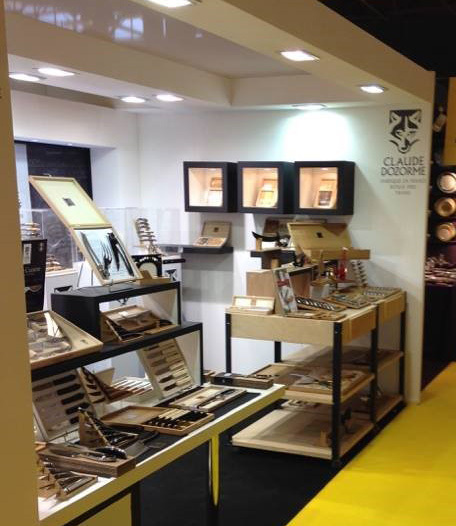 Claude Dozorme cutlery will host throughout the weekend the many visitors expected on a dedicated stand in the heart of Hall 2. 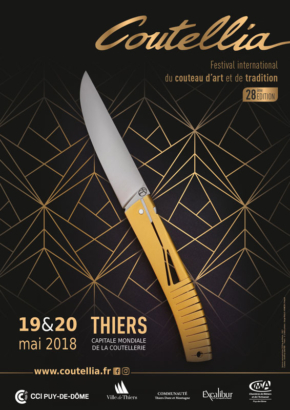 The family manufactory will present all of its knives Le Thiers®, Laguiole or Capucin by Dozorme, but also the “outdoor” novelties related to nature, open spaces and hunting. The opportunity to discover and admire the EOK pocket knife, fresh out of the workshops thiernois. With its imposing size of 24 cm as there are few on the market and its push button that facilitates the opening of a hand, the EOK pocket knife has been specially designed for all adventurers. After Maison & Objet last month, cutlery Claude Dozorme comes out of our borders to participate in the most important tableware’s world meeting, Ambiente fair. Indeed, the factory from Thiers will fly to Frankfürt (Germany) to present its new collections and all its ranges of table knives, kitchen knives and pocket knives, to buyers around the world. Organized by Messe Franckfürt, Ambiente is the largest international exhibition european dedicated to the world of home with more than 6,000 exhibitors and 70,000 visitors from all over the world. 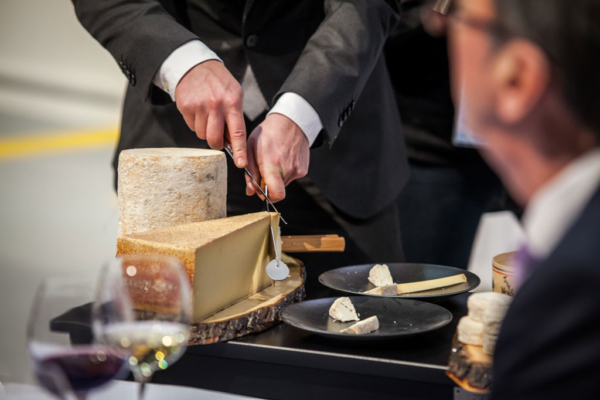 It meets once a year, at the Frankfurt exhibition center, the most prestigious brands of the culinary sector. 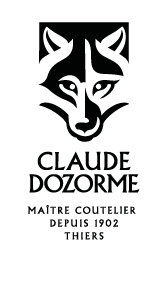 For many years, the Claude Dozorme cutlery has taken part in this « grand-mess » of the art of living which revolves around three main themes Dining (kitchen appliances and tableware), Living (decoration and furniture ) and Giving (gift universe). For the occasion, the factory located in Thiers since 1902 will be keen to exhibit its knife collections and present its latest products as its new range of corkscrews Le Thiers®. Without forgetting its essential pieces, Claude Dozorme Laguiole ! 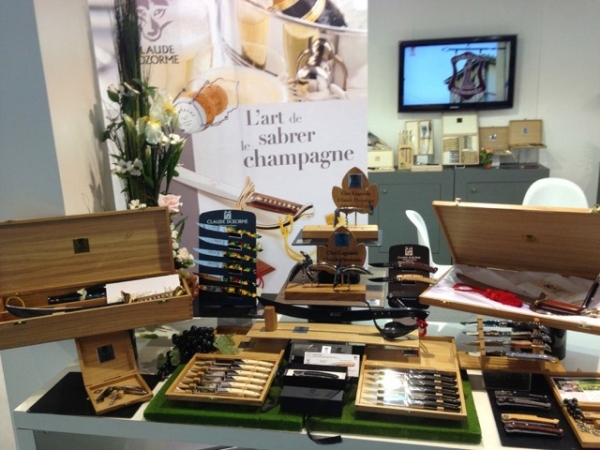 Moreover, proof of their success with visitors and specialists, Ambiente the blog had devoted an article some time ago “The bees of Laguiole – one knife conquers the world“. 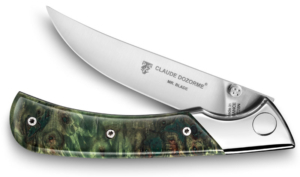 Read to know everything about this iconic knife made, among others, by the Claude Dozorme cutlery according to traditional and ancestral know-how! 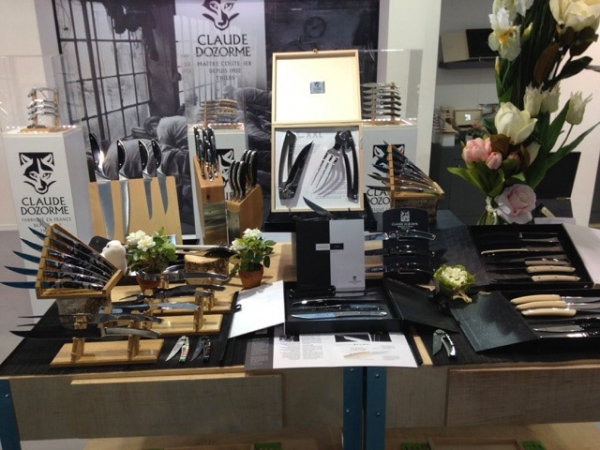 To consolidate its reputation both in France and abroad, Claude Dozorme’s cutlery participates every year in many trade shows. 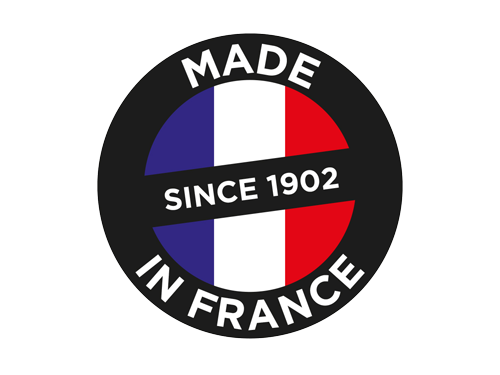 The opportunity for the family factory settled in Thiers since 1902 to present its new collections and all its knives ranges as Le Thiers®, Laguiole and Capucin, among others. At the beginning of this year, the Dozorme cutlery will make a stopover in Paris from January 19th to 23rd at Maison & Objet show in the heart of the Paris Villepinte Exhibition Center. Worldwide leading trade show for all the professionals of design, home and decoration, Maison & Objet brings together, for 5 days, nearly 80 000 specialist visitors. 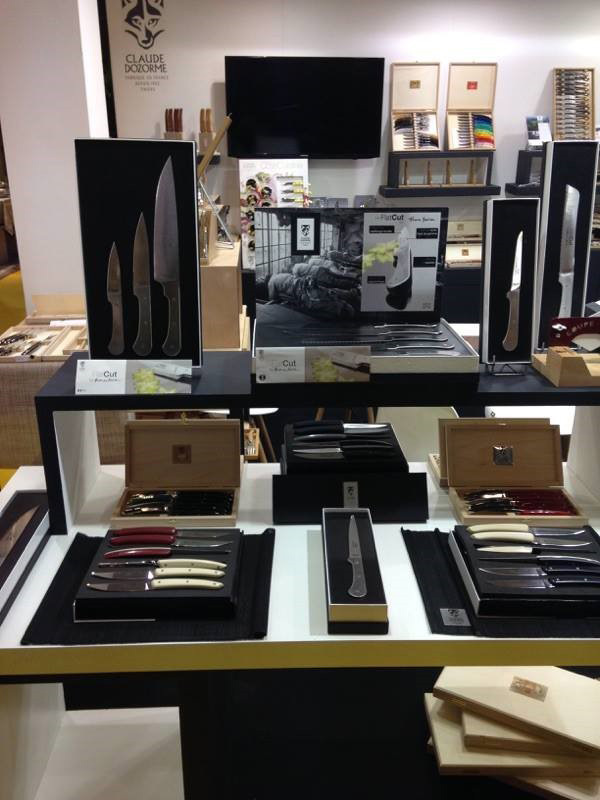 On its booth located on « the red line », Claude Dozorme’s cutlery will be pleased to welcome you ! 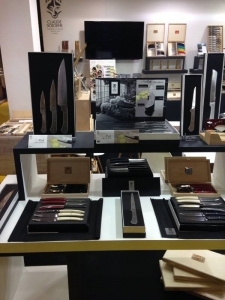 Whether you are customers, buyers or prospects, from France or abroad, you’ll discover all our latest innovations and find the latest trend in pocket, table or kitchen knives. Among the very beautiful novelties presented this year, the cutlery will particularly focus on its new range of Le Thiers® corkscrews, which we will talk about very soon. Want to know more about the universe of the factory from Thiers ? Go to Maison & Objet show from January 19 to 23, 2018 ! And take the opportunity to exchange with the sparkling Claudine Dozorme and her dynamic team!